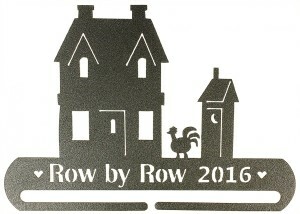 I got to attend the Row by Row Experience schoolhouses. Drum roll please…as of that schoolhouse, over 3,200 shops are participating this year! Here are the most popular patterns and companions – all are in the top 100. These two patterns – Welcome (#PXR01) and Butterfly House (#PXR02) which feature the license plates from Patchabilites were huge hits! The nine inch Ackfeld Hanger (#33062) is the perfect way to display them. License to Play (#RQD113) is a throw size quilt that uses 24 of the license plates that can be collected from participating Row by Row shops. 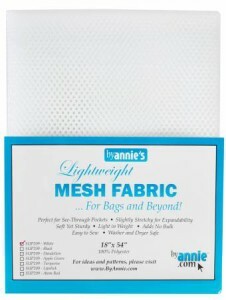 It is fat quarter friendly so it is easy to kit. This pattern would also be easy to adapt to any size – depending on how many plates are collected. This Car Caddy (#CLPCLA041) fits over the headrest in your car. 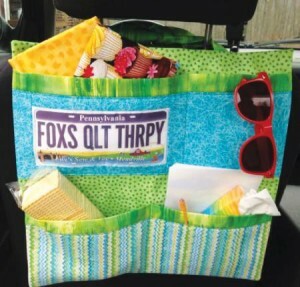 Why not make two – one for each seat so your traveling companions can be organized. 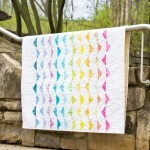 And this throw features the new Creative Grids Half Square Triangle tool. To see all of the fabrics and companions for the Row by Row Experience, visit our website and search Row by Row Experience. If they aren’t in stock, order anyway. The buyers are on top of it and already have inventory arriving! This week is going to be short and sweet. We just got back from Market so life has been hectic! 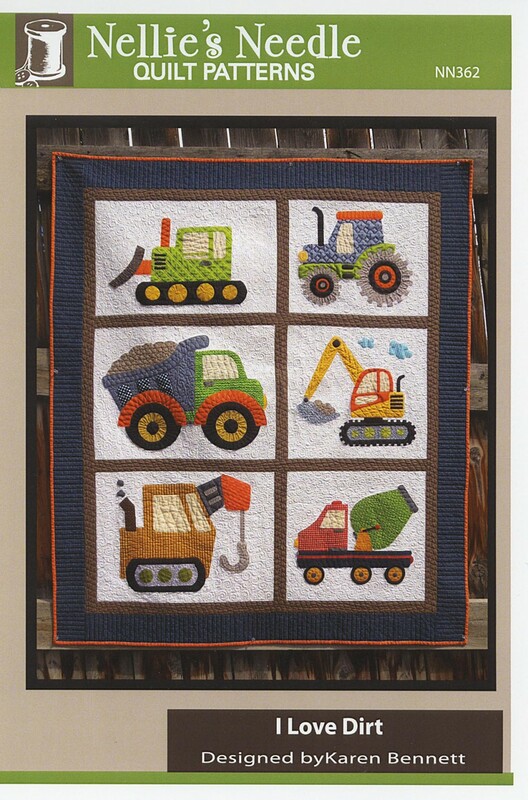 “I Love Dirt” by Nellie’s Needle is the sweetest quilt that I have seen in a long time! These six blocks will melt any boy’s heart. 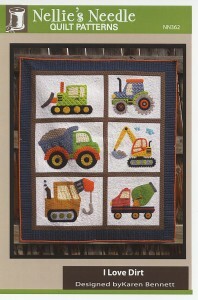 Make the entire quilt -which measures 47 x 55 inches – or frame them individually for a charming wall grouping. Pillows would be darling as well. 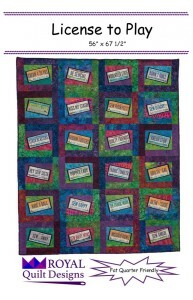 Personalize the quilt by adding the name to the top border. Or, add names to the doors of the vehicles. Who could resist this??? 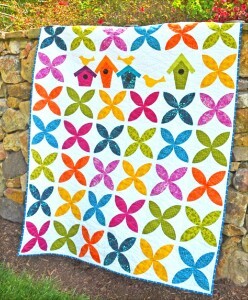 The original tuffet pattern by Sharyn Cole of The Tuffet Source has been so popular that quilt shops across the country have waiting lists for classes. And once they make one, they sign up for another class to make more! 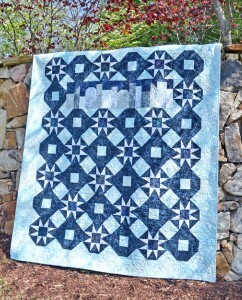 The original pattern (Item #PPFP100) has been a top 20 pattern since its release. 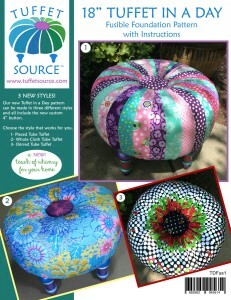 The pattern includes a fusible foundation and the instructions needed to create your own heirloom tuffet. Since customers can’t stop at just one, fusible foundations (#PFI100) are now available separately for just $18. These do not include the pattern, but then, your customers already have that! Or you can buy the foundations by the bolt. There are 15 foundations on a bolt (W-PFB115) bolt. But now there is a “tuffet in a day” version (#TDFUS1 Retail $32.00) with instructions for a shirred, pieced or whole cloth version. 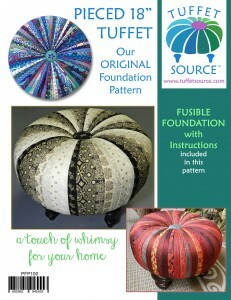 The fusible foundations work for this pattern as well. 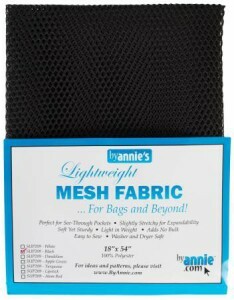 The pattern includes a four inch button to complete your project in style. These products are due to arrive by the beginning of June so place your order now. 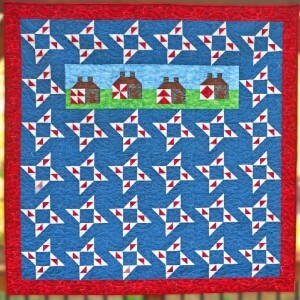 There is a reason the log cabin block is the most recognizable quilt block in history. 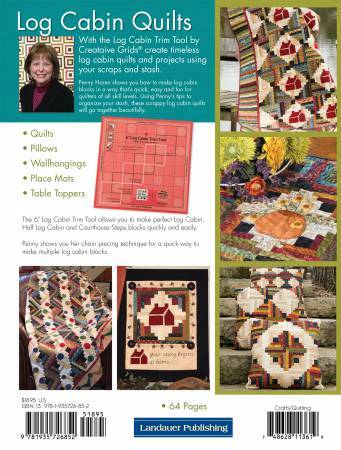 This simple block can be pieced in a variety of ways to create a traditional log cabin; a courthouse steps, a half log cabin, or a square within a square – and they can all be trimmed with the 6″ Log Cabin Trim Tool! 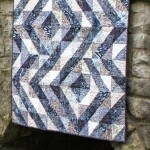 These blocks are the perfect “Scrap your Stash” choice because the designs created are actually studies in lights and darks. Simply sort your stash and start cutting strips! 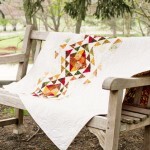 If you choose to chain piece these blocks, they can be completed in fifteen minutes! 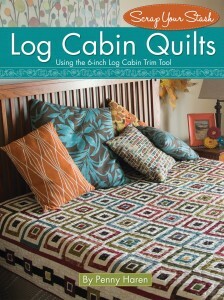 Log Cabin Quilts (#L8529) is a true labor of love because I wrote it! Yes this is a totally biased blog because I love the tool – and the eight projects I created with it. And the best news? 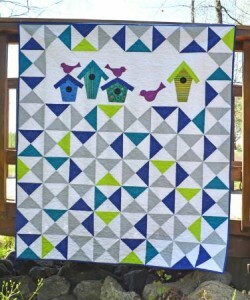 These projects used up about 40 yards of my stash – talk about a win/win! 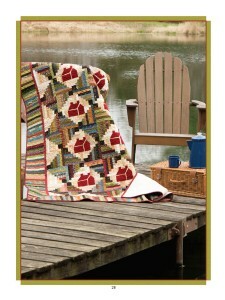 The cover quilt features a square within a square log cabin version that is pieced like a Courthouse Steps block. That means you can sew opposite sides at the same time so they are very fast to piece. I added an optional square of wool in the center of the light colored blocks to add texture. 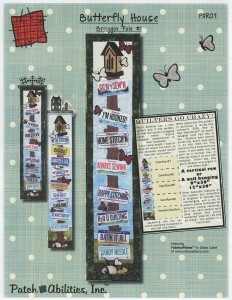 The Grecian style border is pieced with the log cabin tool as well. A picture is worth a thousand words – so here are a few of my favorites. 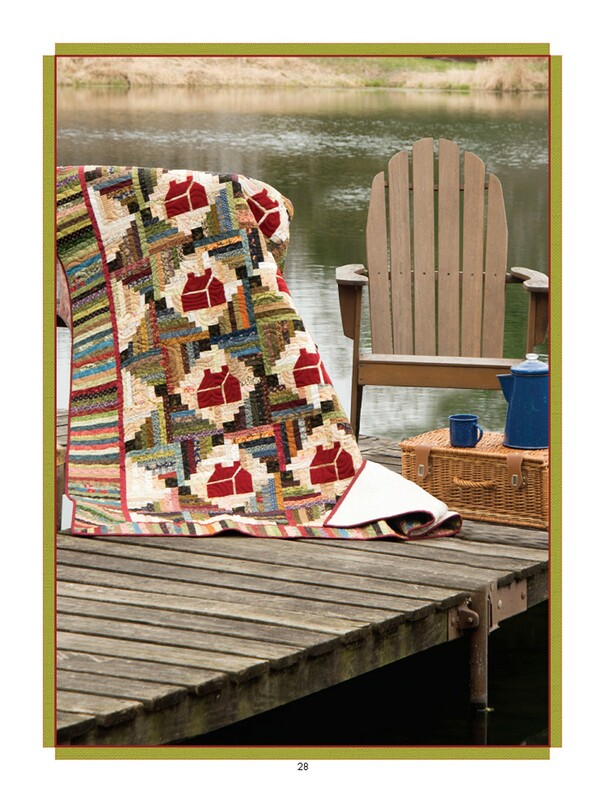 This half log cabin quilt features a strip pieced border made with 2 1/2″ strips sewn into a tube. Yes, the instructions are in the book and this is now my favorite border for ANY quilt. If you like to work with wool, add the houses. 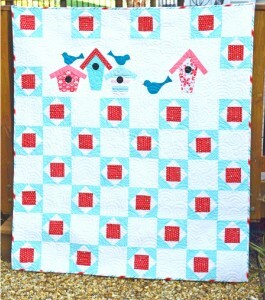 You can wait to decide until you piece the blocks because it is just as striking without them! 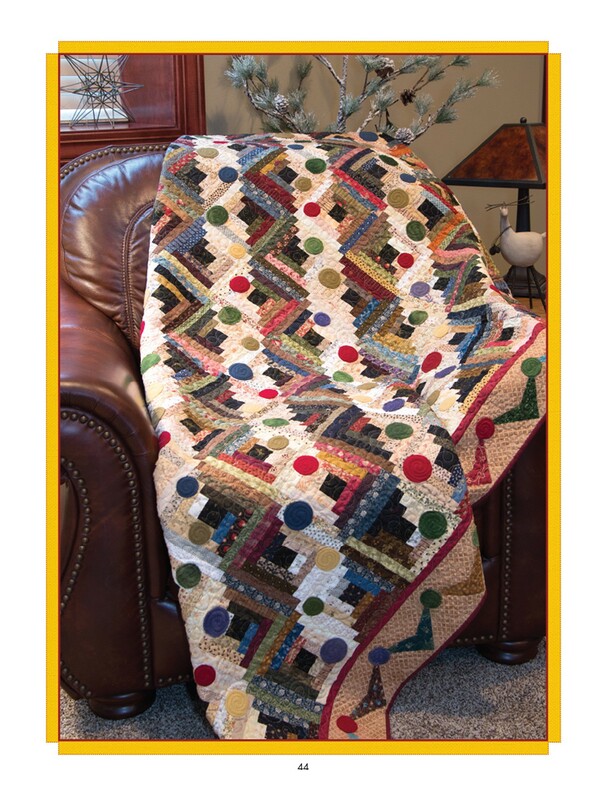 Three of the quilts in this book are twin size. I have decided that at this point in my life, I am making quilts that fit beds! But, it is easy to adjust the size to your needs. This traditional furrows setting for the log cabin block takes on a funky feel when the “furrows” are planted with wool circles. 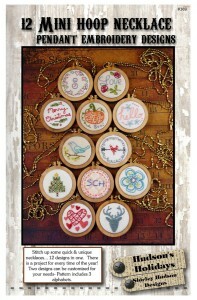 These wool circles were a great way to use up my scraps of wool as well. The border reminds me of the jacks I played as a child. 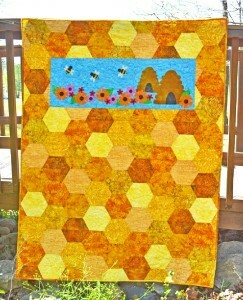 This border is attached to three sides of the quilt. You may choose to add it to all four sides but this was an easy way to teach my grandchildren how to make a bed! They always know which end to put over their pillow. Once again, you can choose to leave off the wool, but in this case, it is hard to resist! The other projects include two table toppers; place mats, a framed picture, and three floor pillows. All of these projects would be perfect classes. Start with the 24″ floor pillows. They make great gifts and are the perfect introduction to show your students how to make a traditional log cabin, a courthouse steps, and a half log cabin block. I backed them with Shannon Suede which gave them a professional look. 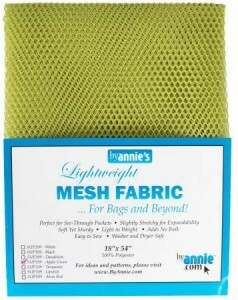 This fabric is 56 – 58″ wide and comes in a variety of colors in 10 – 12 yard bolts. What a great way to introduce your customers to this fabric! 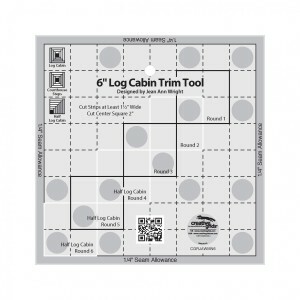 The six inch log cabin trim tool (Item #CGRJAWMN6) as a stand alone product or can be purchased as a two in one tool. 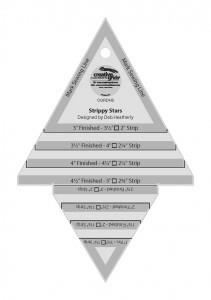 The Log Cabin Trim Tool Two (#CGRJAW2) combines two sizes – the six inch and twelve inch blocks. Whichever trim tool you choose, the results will be spectacular! And at just $18.95 the book is a bargain – that is roughly $2.00 a pattern. Who can resist a bargain! Talk about the perfect portable project! 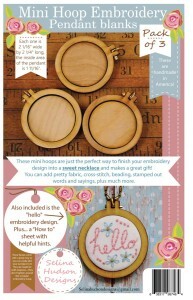 These mini wooden hoops (#HHD101) frame a design that is slightly less than 1 3/4″. These “Made in America” minis are the perfect gift. Each pendant comes with a jump ring to turn them into a necklace. 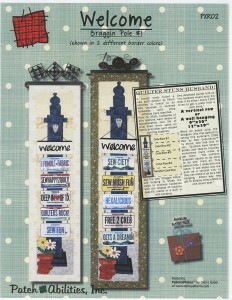 The pattern for the “Hello” design is included. Or add a pin or a magnet on the back – or turn them into napkin rings for a special luncheon….the possibilities are endless! Need some help with the designs? Shirley Hudson has that covered as well…. This pattern (#HHD369) includes twelve different designs – one for every season. The pattern includes three different alphabets as well. Two of the patterns can be personalized to your own needs. Display both at the register – the perfect impulse buy that will have them coming back for more. Why not have each employee make one – and wear them. Walking, informed advertising is ALWAYS a good thing! And, since they actually made one, they can explain how easy they are to frame and finish. These are selling fast – but more are expected shortly so they will be here in plenty of time for the summer Row by Row Experience season! This pen like dispenser (#FAB50012) contains a solid acid free glue stick – which means it is safe to use on antique photos as well as delicate fabrics. 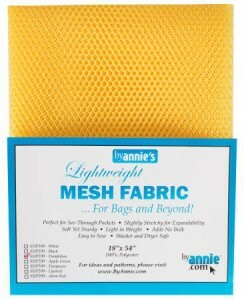 This dense glue requires just a small amount to hold fabrics in place while sewing – no need for pins. The colored glue dries clear and washes out without leaving a residue. The fine print says that it is safe for most fabrics so test first but I’ve never had a problem. Refills (#FAB50013) are also available. They come in pink and yellow as well. 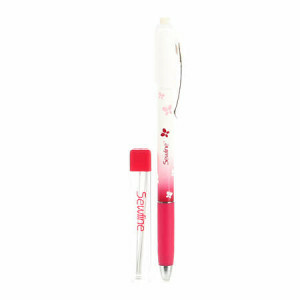 This special mechanical pencil (#FAB50037) uses ceramic leads for drawing on fabrics with a fine, clear line. The marks are easily removed with a damp cloth or the Sewline Erasers – no particles left like tailors chalk or hard to remove marks. Just remove marks with the Sewline Eraser or dab with a damp cloth. Eacn pencil comes with 6 lead refills. 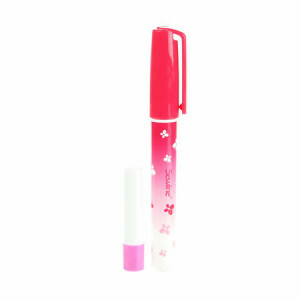 This pencil as well as the refills comes in multiple colors: black; green; yellow; white; and pink. This “Sure Guide Needle Threader” (#FAB50036) will thread very fine needles (size 9-12). The case slides open to reveal a clever mechanism. Simply insert the needle and lay the thread in the groove. Pressing lightly on the lever directs a shaped pin into the thread through the needle eye. If the pin hits resistance it will stop, preventing it from breaking. The case will hold needles and the top has a magnet so you can easily pick up those small needles. For needles ranging from sizes 4 – 8 order (#FAB50044). According to the package, Stain Maid (#FAB50042) is a blend of orange oil and natural ingredients with a proven ability to dissolve and effectively lift oil-based stains, grease, inks, pencil, food and substances such as coffee, tea, blood, lipstick and ketchup. The Sewline Stain Maid crayon enable application right on the stain spot. No mess, no spill, non-toxic. You never know when you may prick yourself with a pin and may need an instant stain remover. 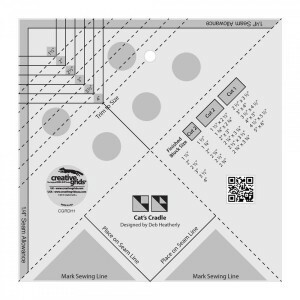 Visit our website to see all of the Sewline products. Be sure to watch the videos for inspiration. These could be the basis for your next demo day! 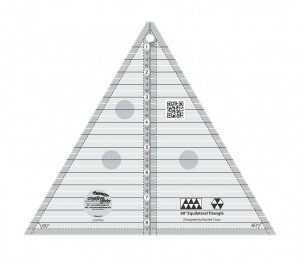 Welcome the newest must have ruler from Creative Grids®. 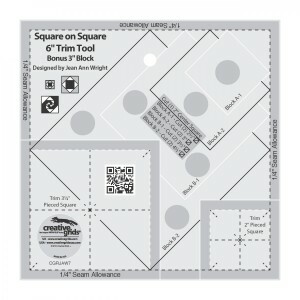 This Half-Square Triangle 4-in-1 Tool (#CRBH1) has all the markings and the slot you need to make this most popular block. 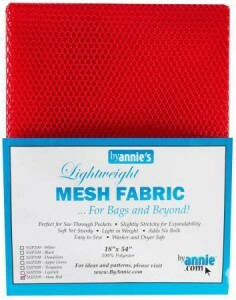 Some patterns have you cut triangles from strips; others have you draw a line and sew on each side; still others have you make them bigger and trim them down to size. You can even make eight at a time. Now, no matter what method the pattern designer prefers, we have you covered – and I mean covered with our exclusive grip! 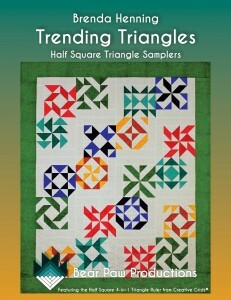 Brenda Henning not only designed the tool, she has written a sampler book – Trending Triangle (#BPP670) to showcase all of the features of the tool. 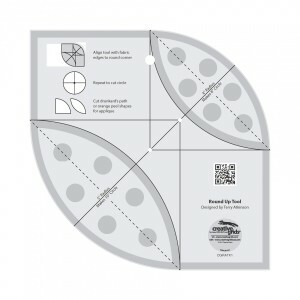 And, to make it even easier to demonstrate the different techniques possible with this tool, Brenda designed three Cut Loose Press patterns. This, however, is just a stepping stone. 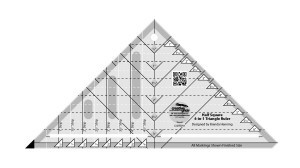 ANY pattern featuring half-square triangles can be made with one of the four techniques explained in the instructions for this tool. Watch the video (//www.youtube.com/watch?v=RETkZz6x81g) and be prepared to be amazed!